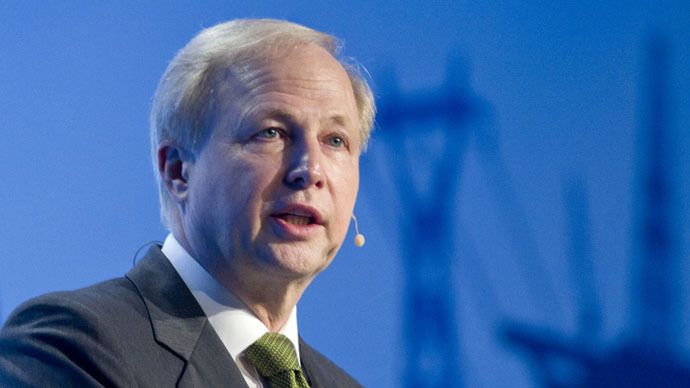 BP Chief Executive Bob Dudley was given a 25 percent rise in total pay and bonuses in 2014 despite a drop in profits at the oil major, according to the annual report. Dudley’s remuneration rose from $10.17 million in 2013 to $12.74 million last year, according to BP’s annual report released Tuesday. He also received $9.8 million in share awards. In January the company cuts its capital spending program and imposed a salary freeze, weeks after axing hundreds of jobs in Scotland and thousands more globally as a result of falling oil prices and profits. BP has frozen the pay of its 84,000 workforce around the world after a nearly 50 percent fall in crude prices since last summer. BP’s chief will receive a deferred bonus package of $3.4 million. There was no bonus in 2013 as BP was facing aftermath of the disastrous spill in the Gulf of Mexico in 2010. Dudley’s base salary increased only by 3 percent to $1.8 million. His annual bonus fell to $1million last year from $2.3 million in 2013; this was partly due to his decision to defer $1million for three years. The chief executive will see no salary increase in 2015 in line with the company’s pay freeze and spending cuts. In February BP’s workers went out on strike in the UK, seeking tighter regulations to prevent worker fatigue, a reduction of non-union contract workers, and wage increases for its members. Shareholders have criticized BP for its executive pay packages. Dudley’s pay for 2013, which tripled over 2012, has been criticized by some shareholders as well. Nevertheless, it was approved by the majority of the shareholders, with the company arguing it can retain top talent only by paying its executives competitive salaries. The company emphasized increased automated monitoring for many remote sites and said the company’s focus on safety would have a positive impact over time. It was due to pay $43 billion in liabilities after the 2010 Gulf of Mexico oil disaster. BP reported billions of dollars in asset write-downs and losses for the fourth quarter of 2014. The company’s profit for the fourth quarter was $2.2billion, lower than the $2.8billion for the same period a year earlier. Full-year profit fell to $12.1billion from $13.4 billion in 2013.